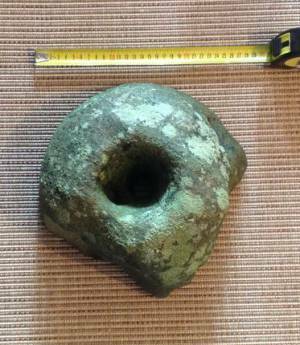 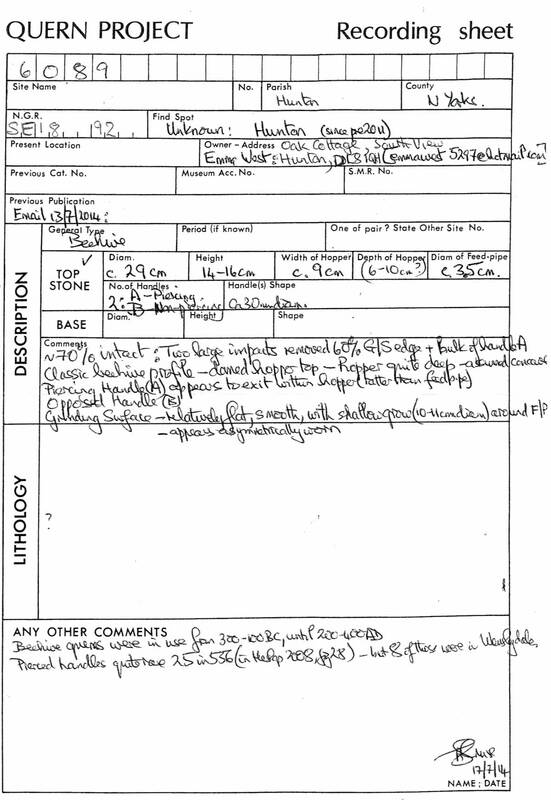 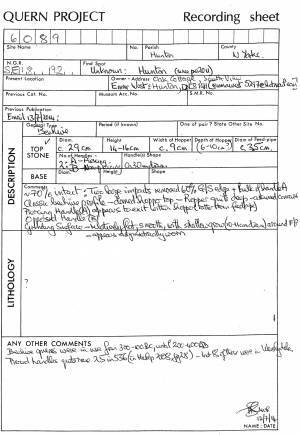 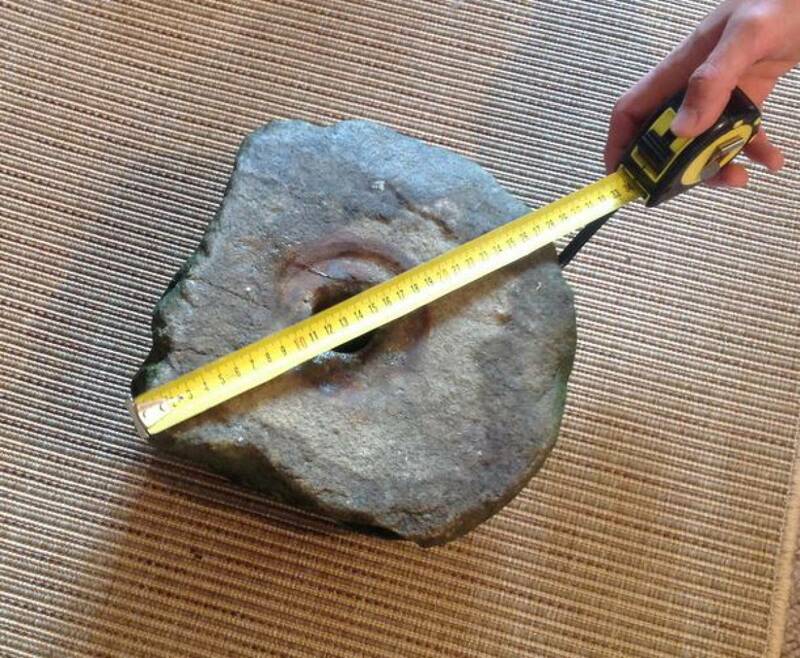 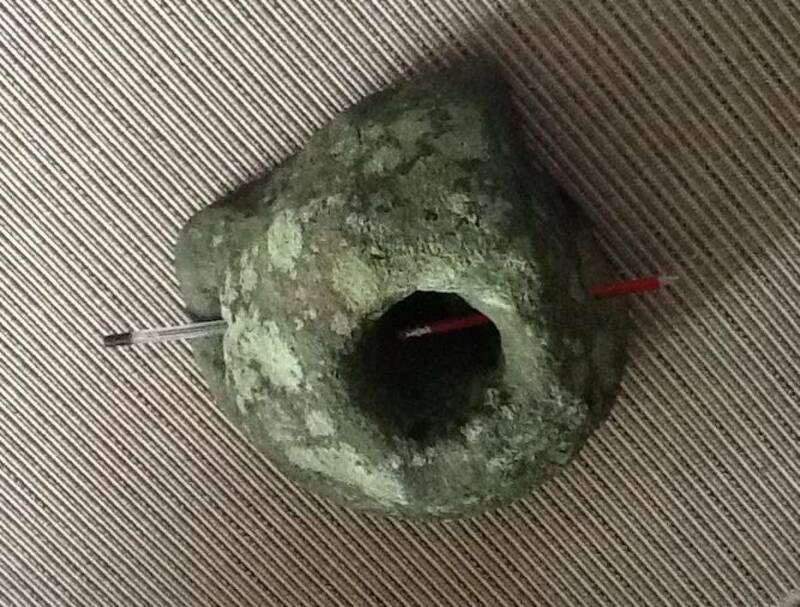 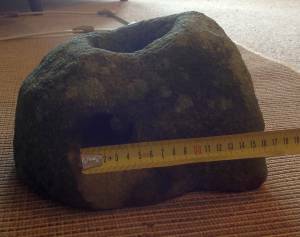 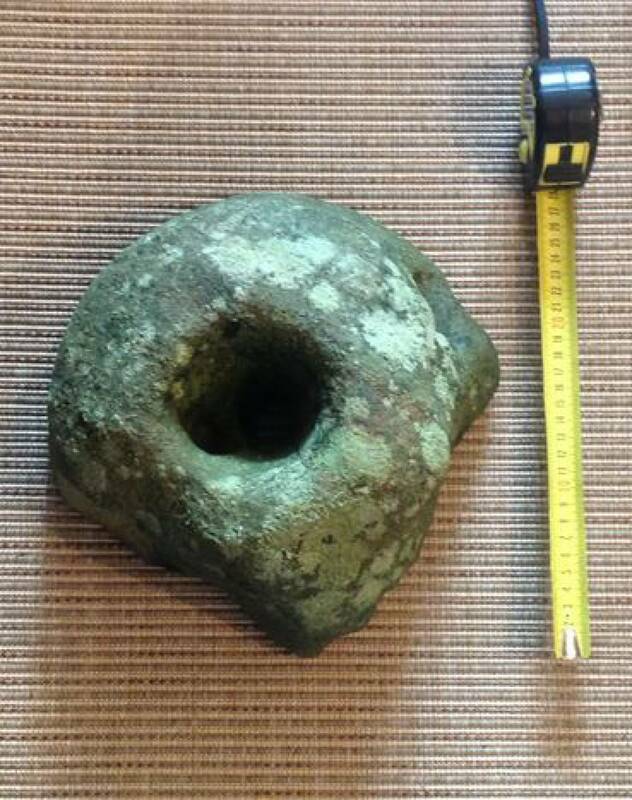 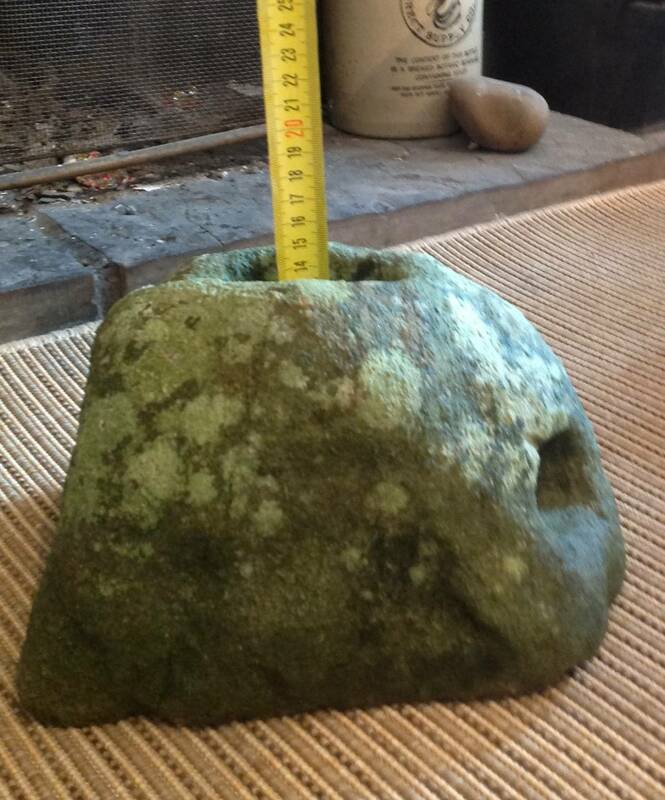 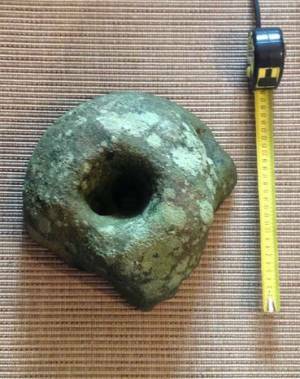 Record Description This quern upper stone was found by Emma West in her garden. It has been entered on the Yorkshire quernstone database as record number 6089. 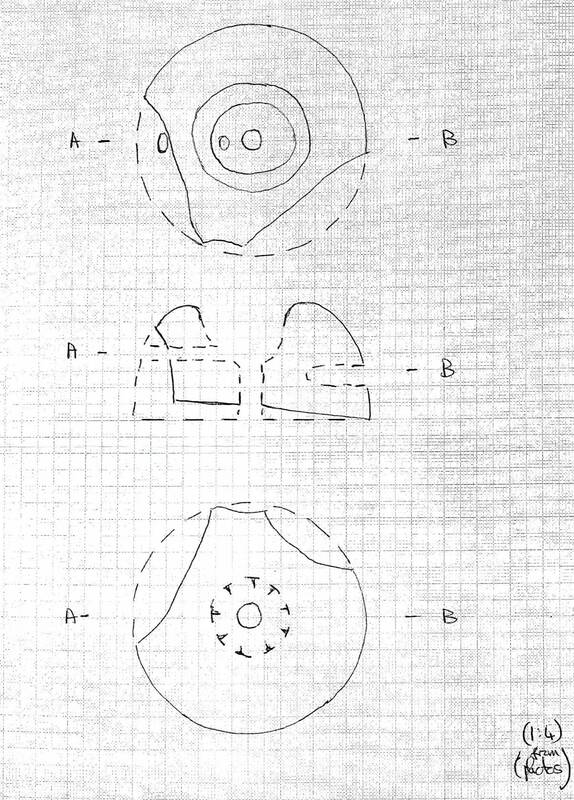 A photocopy of the information is shown in images 1 and 2. 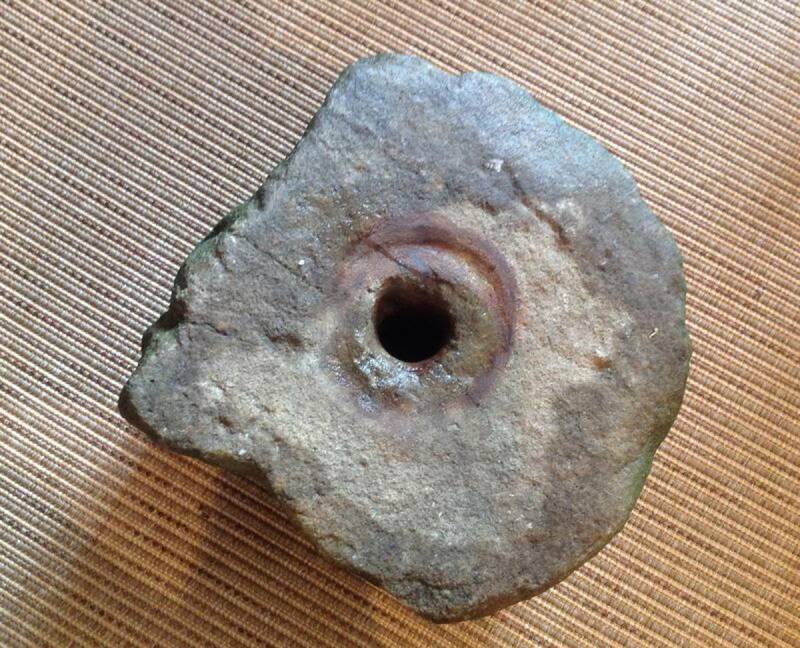 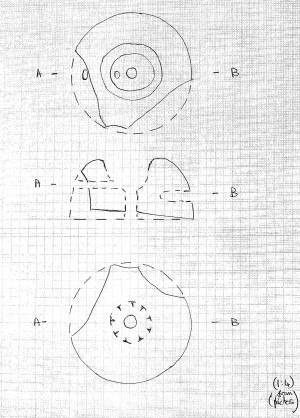 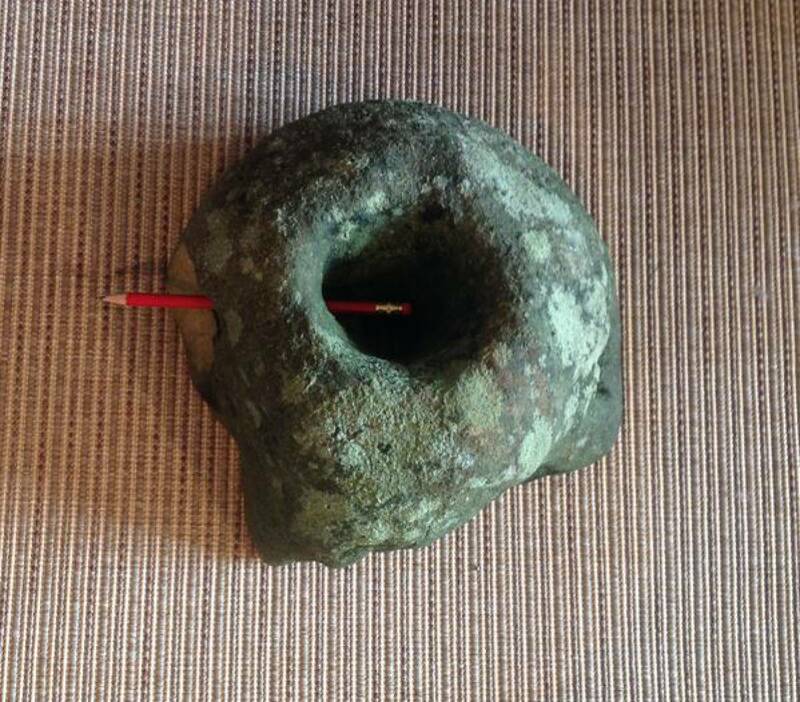 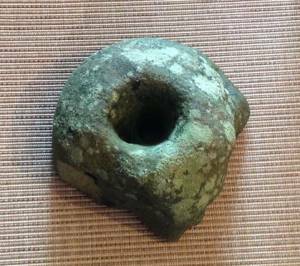 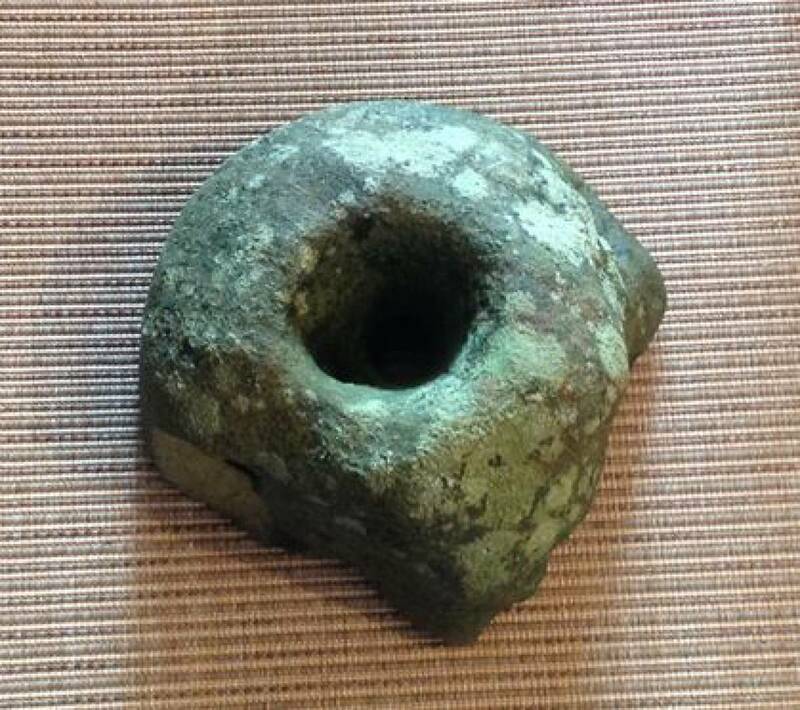 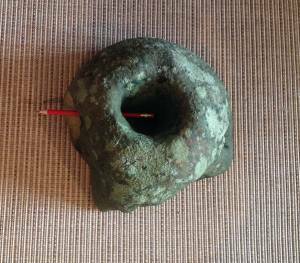 This quern has a pierced handle hole through to the hopper which makes it number 25 in 556 quernstones to be made that way, 8 of which are from Wensleydale. 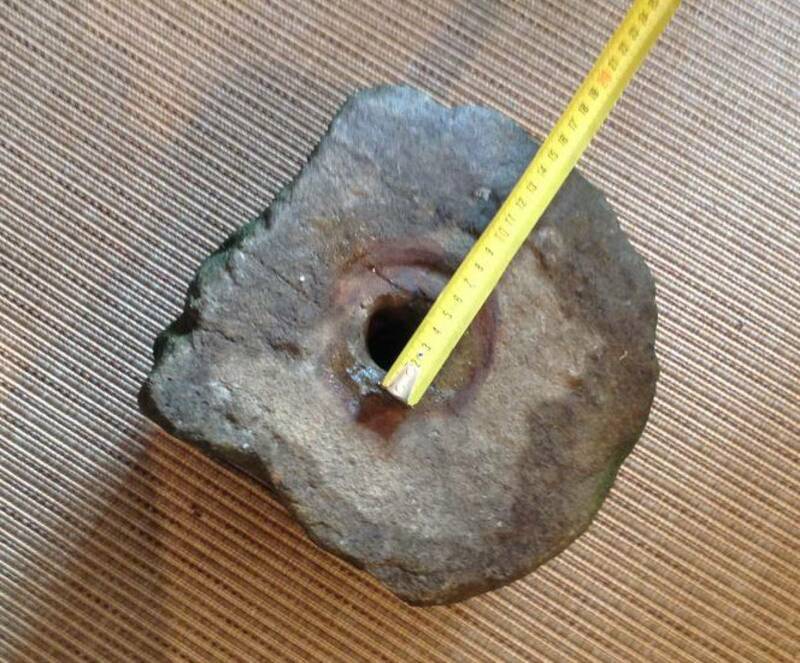 Images taken by Emma are shown from image 3 onwards.